It’s a wet, windy and fairly mild Wednesday morning but The Best From the East 2.0 is due to hit this weekend, though weather reports this morning suggest that there’s unlikely to be much in the way of snow this time around. We can, though, expect bracing conditions for the Bank Holiday weekend, up to and including Sunday where we face Tyrone in Round 6 of this year’s National Football League at MacHale Park (throw-in 2pm). I’ll do the usual checking-out-the-opposition post tomorrow on Tyrone but ahead of that there’s a bit of news on the player availability front. The main news here, contained in a report by Mike Finnerty in this week’s Mayo News (here), is that Paddy Durcan “may be in line to feature” on Sunday. Paddy limped off with a quad injury late on against Galway and he hasn’t featured for us since then. I probably wasn’t alone in thinking that he might have been one of the late replacements on the day last Sunday but, in the event, he wasn’t even listed in the match-day panel. It looks like he will for the Tyrone game, though whether or not he starts remains an open question. With the likes of Tom and Seamie now back in harness, Stephen Coen growing in confidence in the half-back line and Caolan Crowe settling in nicely as well in defence, there’s a bit less urgency to get bodies back. Obviously, though, we’d have Paddy in there once again in a heartbeat, especially for what’s certain to be such a tough match. According to that piece by Mike, Paddy is the only one of the injured brigade with a chance to feature this weekend. Those of you who have listened to this week’s Mayo News football podcast (and, if you haven’t, it’s here) will already have heard Stephen Rochford confirm that Brendan Harrison (hip) is out for the remainder of the League, while Chris Barrett, Evan Regan and Donal Vaughan are almost certainly in the same boat as well. Keith Higgins will be lining out for the hurlers in their NHL Division 2B final against Down on Sunday so, absent powers of bi-location, that rules him out of the Tyrone game. That hurling decider, by the way, takes place at Breffni Park on Sunday with a 1pm throw-in. According to Mike Finnerty in that piece linked above, Keith might, though, be an option for us against Donegal on Sunday week. The same piece leads with some news on Cian Hanley, whom Mike says has been training with the senior squad since his return from Australia. Cian is, though, still working on his fitness and there’s no prospect of his being tipped into the fray against either Tyrone or Donegal. He does, however, appear to be in our plans for summer and so could well feature, perhaps prominently, at some stage then. Finally, and apologies for ending this one on a downer, but I’ve bad news to report on the reffing front for Sunday. Yes, it is. Maurice bloody Deegan. Sigh. I don’t mean to rake up the old goalkeeping debate again but I have to state that D Clarke is our no.1 keeper for one reason………….he’s better in the air that Hennelly. Unfortunately, Rob has had a history of unforced errors with aerial balls going right back to the minor replay of 2008. If and when he gets that part of his game right then he’s every bit as good as Clarke…but until then! Last week was a good performance but one slightly worrying thing was that our best players were all the old stalwarts such as KMcL, AOS, LK and AM. Perhaps its been a bit negative but I would like to see some of the newer players take a game by the scruff of the neck. Does anyone think that Coen should be tried at full-back or is he more of a half-back? Diarmuid was also one of our top performers and he’s only 23. Half back is Coen’s best position. I think he would be cleaned by any pacy inside forward. As far as fullbacks go, Rochford will likely use whoever is best suited to the type forward that’s in opposition. A big ff is a different proposition to a 5 foot 10 flyer, and much different skills involved in holding them. Name the other player on the Mayo panel that could stop Kieran donaghy last August to the extent that aos stopped him? Nobody to my mind could have. He flung a big guy like david Heaney out of his way in 2006 and was relishing doing it to cafferkey or Higgins or the like last August. I can imagine the feeling he got when he seen yer man walking to the fullback spot to mark him!! Must have been priceless. Not to sound like an old journalist, but it will be a horses for courses effort for Mayos defense this year again. Imagine what Michael Murphy or McManus of Monaghan would do if left isolated on any defender less than 6 ft and full of aggression. It’s great to hear that young Hanley is training away with the panel, hopefully he will get a run against donegal. Looking forward to Sunday. Feeling confident. The lads know exactly how to beat this Tyrone team. Get ahead of them early. Draw them out of their defensive shells and makes more space for scorers. Mayo by 3 regardless of Deegan. Maurice bloody Deegan? Well that is just bloody brilliant news. He will be shafting us before the pre match calisthenics are even completed. He could well be Tyrones best player on Sunday. Who will mark him i wonder. Also i would expect all the sledging, spitting, pinching, punching, kicking, dragging, elbowing, pulling hair, biting, gouging, clothes lines, choke tackles. etc that will be on display Sunday to go unpunished. We should plan accordingly and be ready. No excuses about referees please. Do what Sean Rice of the Mayo News has always said: just assume that you are playing 16 men and prepare accordingly. Tyrone have always been the toughest of nuts for Mayo to crack in Castlebar. They would have given Galway a lot of hassle too, but Comer got the early goal and Galway could keep them at arms’ length after that. Assuming we don’t get a similar start – and our goal drought suggests we won’t – what is Mayo’s plan to beat the blanket? It would be nice if, instead of the usual slow, lateral hand-passing we see from Mayo whenever Tyrone are in town, we could work on accurate long-range shooting. No blanket will survive that. Ping a few over from long range, and suddenly Mickey’s boys have to come out to play. Then the space appears for us to do damage. Maurice Deegan after a fine run of referees this league most notably that Monaghan man last week David Gough and not to forget Paddy Neilan from Roscommon all good decent referees it will be a case of hitting rock bottom on Sunday with MrDeegan. Expect lots of pulling and dragging kicking and sledging and very little fair play. If he ever read the rules of the game, it would be nice to come away on Sunday with a hint that he has any idea how to implement them in an even handed manner. I would like to see Coen play full back. He plays a good game as a midfielder for his club. He had a great game the last games out is a brilliant worker and I believe he has a big year ahead. Tyrone need the points too, so I think if Mayo can get a bit of daylight opened up it would mean that tyrone would have to play attack style football. Go for the jugular from the throw in and maybe aos at ff for periods to cause panic. He draws 2/3 defenders straight away which is bound to open up space for Doc and Andy if he can get on the ball enough and get it passed off before being smothered. It has the makings of a great game. we really need a home win, Mayo by 2 i reckon ! I’ve said for a long time that Coen has the size and pace to make a great FB. He’s developing really well and this could be the year that he nails a spot. Hopefully it’s FB or CHB or rotates, horses for courses like. Yeah, agree with those negative comments about Maurice Deggan, Dublin Joe ect…. With Dublin untouchable at this moment, the only one’s that Jim Gavin would have playing for his gladiators (I mean reffing) of course… Jim Gavin would even leave out Diarmuid Connolly, to include a Dublin Joe, or Maurice Deggan, in his team… Come to think of it, Jim Gavin would leave out Diarmuid Connolly every time he can … On further reflection , Diarmuid Connolly is becoming the ‘Paul Poga’ of Dublin football…..(in Jim Gavin’s mind) Ahh not really tough, Connolly is far superior….. (but unfortunately for Diarmuid, not a robot)….. Home to Mayo,…. More robot’s await us on Sunday,….. Mickey Harte will have the most precise plan’s…. In a moment of simple genius, Mike Tyson said ‘everyone has a plan, until you get a punch in the face’… How right he was, Tyrone have always had a plan,… Regimental, and rigid,… Can they adapt?…. Jury is out,… Can we adapt to unplanned for circumstances ?… Of course we can, we never planned for, To be level with Derry in a qualifier at full time, Cork to even be ahead of us at half time in extra time, the Rossies to be 8 point’s ahead in the quarters….. More often than not, we can find a way….. Mayo should win on Sunday, might be a few twists and turns before Maurice Deggan blows the final whistle but I expect the free thinking Mayo men to come out in top a the end of the day.. I see I have just stumbled on to the maurice deegan tribute blog. As regards the goalkeeper debate, keep it going. It shows we have 2 good goalkeepers. I have my own favourite but am keeping quite. Good look to whichever of them gets the nod. Genuine question from a puzzled observer. I’m looking at the league table and Dublin are on top with ten points and 33 of a points difference. Galway have ten points and a lower point difference . Galway have qualified for the final and Dublin have not . I’m sorry to be so publicly thick but can someone help me with this ? We seen last weekend against Kildare when top players get that extra yard of space, the damage that they can do. We had 9 different players scoring from play. There was no blanket defence in evidence. This weekend you reckon that there will be a return to the clogged defence of Tyrone. So it’ll be interesting to see how we handle this. Remember last year we used Shane Nally for his long range kicking talents in a few of the league games against the blanket defence so it’ll be interesting to see if he comes into the reckoning for this game. The Donegal v Monaghan game will be an interesting one too. Donegal have being wide open at the back in the last few games. I could imagine what Jim McGuinness would be thinking when watching that. They might go back to being a bit more defensive for this game, especially as they’ll be missing their best forward so far in the league, Paddy McBrearty. You’d still expect Monaghan to come out on top in Clones in that one. @Swahili, Dublin still have to play Monaghan. If Monaghan beat the Dubs in their last game and Donegal this weekend and Dublin lose to Galway, both Dublin and Monaghan would end up on 10 points. Monaghan would then make the final on the head to head rule having beaten Dublin. If Galway draw with Dublin, then all other results are academic, they are then both on 11 points and can’t be caught. If Galway lose to Dublin and also to Kildare, , and Monaghan win both of their games, they would be the only 2 teams on 10 points and Galway would qualify on the head to head. Dublin would have 12 points already from beating Galway so would have already qualified. its possible for Monaghan to pip Dublin if they win their games vs Donegal and Dublin, and Dublin lose both their games vs Galway and Monaghan. That would leave both on 10 and Monaghan would proceed based on the head to head. For anything other than a Dublin Galway league final, Monaghan have to win both their games and Dublin lose both of theirs. Can’t see it happening but it might be worth checking the odds. For what it’s worth, Monaghan are 100/1 to win Division 1. For this weekends rounds, Galway and Monaghan in a double is offered at just under 6/1 at Paddy power. I wouldn’t recommend putting money on either of those bets, though. Monaghan to beat Donegal is likely, but I can’t see Galway beating Dublin. “I don’t mean to rake up the old goalkeeping debate again but …. I’m going to do exactly that” 😀 Sorry Spotlight, couldn’t resist. But all the same, any chance we could have even one goalkeeping debate-free thread this week? Wishful thinking maybe. Saipan ain’t got nothing on the Great Mayo Goalkeeping Debate. And yes, long range scores – let’s just plant Robbie on the half way line and put Clarke in goal and sure won’t everyone be happy! 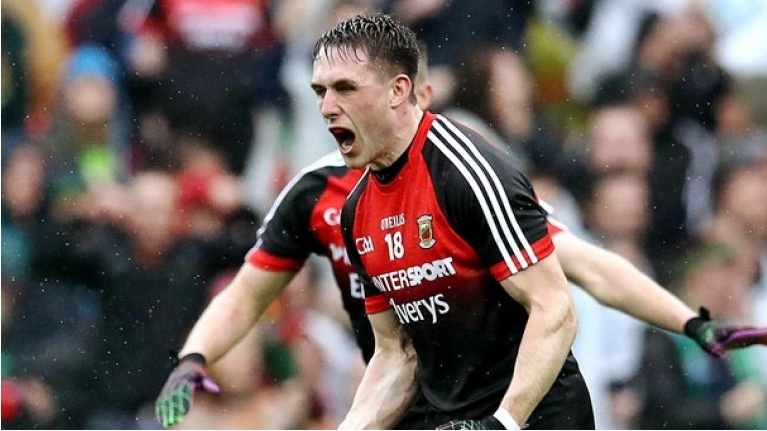 Given that the last couple of games have been refreshingly clean I hope Mayo are prepared for the eh, “physical challenge” that Tyrone will bring. We’ve proven we know how to beat them and they’re one of those teams you can’t beat often enough. At least three of my favourite ever days in Mayo colours have involved beating Tyrone and I can confirm that it gets better every time. I think our lads are getting into the swing of things now that we’re reaching the business end and while I don’t think we’ll make Sunday easy for ourselves in any way, I still reckon we’ll scrape the win. Great post Anne-Marie and you have solved the goalie dilemma as well. Referees have played crucial roles in many of mayo’s games over the years and unfortunately for us, the real destructive wrong calls have come in the latter stages of the championship and we always seem to be the team that tlget screwed. Fair refereeing, never mind us getting the decisions that our opponents seem to get and we would have multiple all irelands. That’s a fact and not sour grapes. I knew I was wasted in the day job Revellino. Must get on the phone to Rochie and tell him I’ve cracked it! Have to say that I get bored when we give out about referees. Teams need to adjust to what each ref focuses on, and hopefully minimise their impact. Maybe we do not do this enough, what would be wrong bringing Deganwy in to ref training matches? Onto Tyrone, important match as has been previously mentioned, would be good to get a home win. As per WJ’S article, we struggle to beat them in Castlebar, is this due to the smaller pitch suiting the blanket defence? Could be very tight if Tyrone get going, they beat Donegal comfortably enough, would give added confidence for May 13 if we win, and would be nice to go and overcome the donegal bogey the following week! Apparently his knockouts have a parabolic trajectory that the other parabolics can’t match !! ? I agree with Revellino. Great post. I must say, I really enjoy your contributions. Mikey If you had a rudimentary knowledge of the rules of the game and you see an infringement of these rules it is natural that you look to the man with the whistle to take some action based on his responding to the first infringment that takes place in a single play. Its his responsibility to take action. This is what has the thread giving out about M Deegan. There is nothing boring about it, except the blind eye that is being turned on it. Hav’nt commented for ages, but revellino you made me fecking laugh out loud, funny man. I remember Tyrone winning the AI in 2008 as I had Kerry backed that day and I had to pay for that weekend out of my own pocket., and I think they won the league tie that year or the following season maybe. Anyway thing is they are still waiting to get some league points off the kingdom ever since. So who do Tyrone face in Round 7 this year. Oh dear that should ensure they will come to Castlebar next Sunday with a heightened sense of paranoia. I wonder why are so many of the top referees from Leinster. 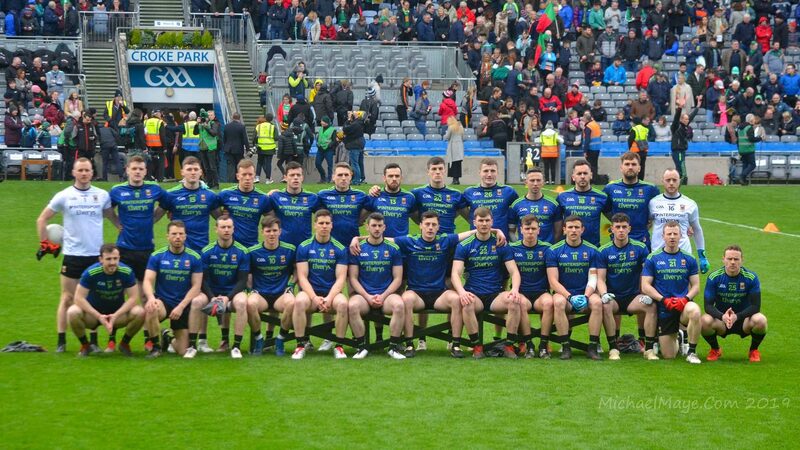 David Gough and Cormac Reilly both Meath men, Deegan from Laois, McQuillan represents Monaghan, come the knock out stages of the championship one of these guys get the job, none from Munster. The Gaa should have a better spread from around the Country. Lads, Deegan has no time for Mayo. The dogs in the street know it. Tyrone could play puck on Sunday and get away with it. No point moaning about the referee. Has the appearance of getting our excuses in early. There aren’t too many on the whistle that we do appreciate. Simple answer to that one, Mayo88 – it’s because, Dublin aside, the quality of football in Leinster is total muck and so refs from these counties aren’t hampered by having their own team being involved when the real stuff gets going. Lord save us, Kildare are well ahead of the pack as the second best team behind Dublin and, as we found out last Sunday, they’re pretty poor. McQuillan is Cavan, by the way. Maurice Bloody Deegan, oh no…. I might be the ‘shadowy figure on the grassy knoll’ on Sunday, watch out Maurice , I will nor forgive you.. The 2 Pigeons, Pj and Paudge were high up on the roof of the stand in Mchale Park. They hadn’t missed a home game for years. “Whose reffing it Pj” Paudge asked. “I’ll fly down with yea says Pj. Just let me finish that box of Pringles and the 2 of us will fly down together and we’ll bury him”. Surprise announcement before throw in, “a chairde, there is 1 change to the Mayo team as listed. Alan Dillion at no.3”! It worked v Tyrone before? I’m not sticking up for Deegan, but the facts are when Andy was ankle tapped by Small in the ’16 AIF and Small dodged a black card, Deegan went with his linesmans(Sean Hurson) decision as Deegan could not clearly see and Hurson called that one! Subsequently, Deegan f**ked Hurson out of it when it all came to light. Hurson was also hung out during the next referees workshop when that incident was replayed to the room. For Keegans black he was heavily influenced bynrhe weakest and worst ref of them all, Coldrick! Far and away the worst ref in the national panel. As I said, I’m not backing Deegan but thems the facts. Agree Pebblesmeller, just look at the Tyrone v Donegal game, he made some strange decisions, Tyrone won’t be easy, they are flying fitness wise, and rampaging down the middle at pace for some handy scores, Aido and the boys will have a battle on their hands, one they are well capable of winning, if the man with the whistle does his job properly? Maybe he will, and we can drown the shamrock again on Sunday, and celebrate with a win, safe in the knowledge that we are safe from the drop, Come on Mayo, as Clint Eastwood would say, I Reckon So, Happy St Patrick’s weekend to all.